Nice box set including 13 albums, each in separate picture sleeve, and complete with all inserts (where such should be included)! Sleeves in EX to EX-, most of them have light wear on top edges. The discs in EX to EX+, there are "P"-stickers on labels (polished with a special anti-static fluid). 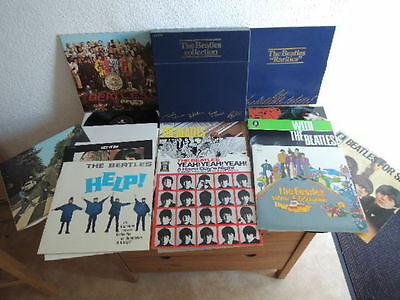 Swedish re-issue pressings, except "The Beatles" which is a German re-issue pressing.